My question: How do you deal with the bar whipping against you? How do you suggest I practice dealing with this. When I pull near or around 500 pounds on the deadlift the bar will whip against me pulling me out of position. This is the question I asked Dan green. It was a really important question to me. Much of this question came from an error I made in my deadlift when I was reviewing some video of myself. I made an analysis video of my hips shooting up too quickly during the a PR deadlift of 515lbs. Dan Green said to test the bar by pulling the hips back a little before pulling. When he said that, it reminded me of a video of him deadlifting 815lbs at supertraining gym in sac. It turns out that first pull had a functional purpose. 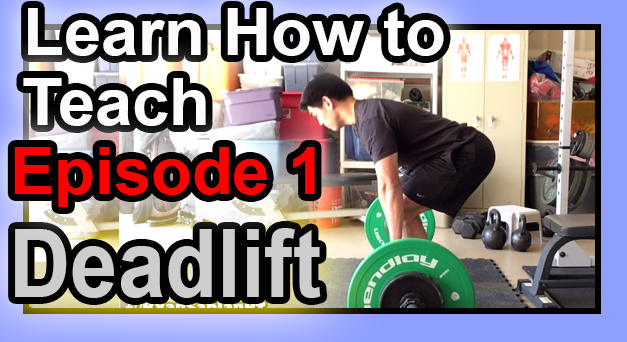 After Dan Green shared this deadlifting tip with me I never watched a heavy deadlift the same again. I saw doing this “test pull” of the deadlift. In a recent video posted on Eric Lilliebridge’s youtube channel you can see him test the flex of the bar a lot before the deadlift. And as I write this blog post, I’m watching it, and what I’m noticing is he not only tests it, he also times in such a way so he can explode with just the right timing. 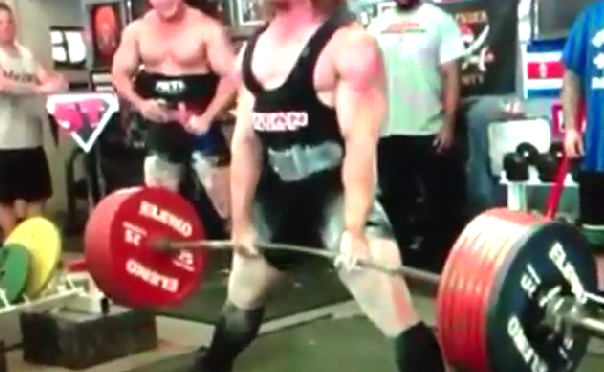 The video below is of Ernie and Eric Deadlifting. In practice it’s really hard to do. My first powerlifting meet is less than 3 weeks away and I can’t get this down in such a short period of time. I did try practicing it. However, to pull the slack out of the bar without lifting it not only feels completely different, it’s more exhausting than you would think. I would have to spend a lot of time rebuilding my deadlift to get this down. This video show me trying to test the flex in the bar and as you can see my timing is really bad and I just feel too uncomfortable. One thing you might appreciate is the quality is fairly good and I have some good slow motion video at 120fps using my iphone 5S. 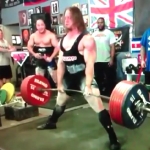 Most of what I learned at Boss Barbell with Dan green has more to do with the Sumo Deadlift. I haven’t pulled sumo very much, but there are some distinct advantages for some of my leverages. What makes the Sumo Stance Deadlift is that it’s complete opposite to what you would do in a Conventional Deadlift. With pulling sumo,he said you want to lock out as soon as possible after breaking the ground. Then use your hips to finish the lock out. Locking out too quickly on a conventional deadlift will result in the hips shooting up too fast, and you don’t want that. I have more stuff I want to share on the deadlift, but I’m out of time. Thanks for reading.